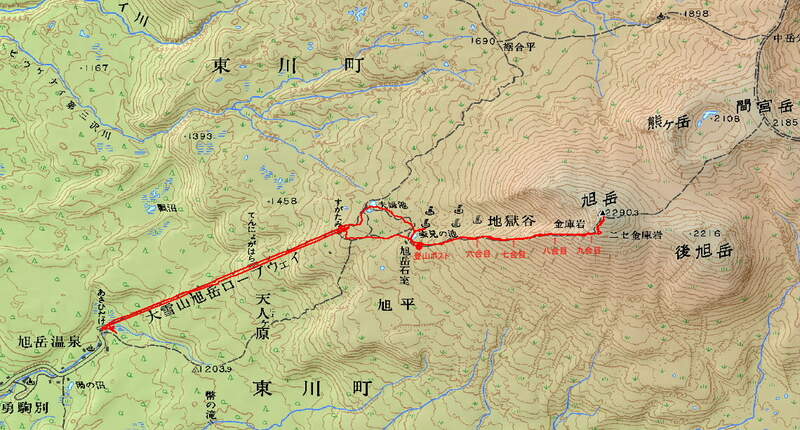 The Taisetsuzan（大雪山） Volcanic Group is also called Daisetsuzan. Taisetsuzan has been designated as a national park.The National Park is located in central Hokkaido. There is Mt.Asahidake of the highest peak in Hokkaido. Large caldera named ohachidaira（御鉢平） is formed in the center of Taisetsuzan. The main peaks surrounding caldera, are as follows. and 1hour and 10mins for the return tirp.